Two years ago Angus Wong complained to Time Out about the state of Hong Kong’s gay nightlife scene. “If I blindfolded you and took you into one gay bar and told you it was another, you would believe me,” he insisted. Even before the closure of Propaganda, in January 2016, then the city’s longest standing gay club, it was hard to disagree. 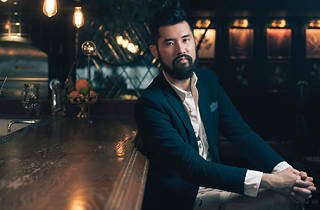 But Wong, a DJ and former W Hotel Hong Kong artistic director, was no keyboard warrior complaining from the sidelines. His comments were made just as he was sticking his neck out and preparing to launch Behind, a free monthly LGBTI happening that he hoped would shake things up. Almost two years on, Behind is now a huge success, the event – held every last Saturday of the month – well-known for being one of the best parties in town with a playlist second to none. Since starting out at Post 97, Behind has steadily moved to larger and larger venues in order to keep things fresh and to deal with its increasing renown (almost two-thirds of attendees are from out of town, Wong tells us). This Saturday Behind debuts at Zuma, marking a new highpoint in the event’s growth and popularity. 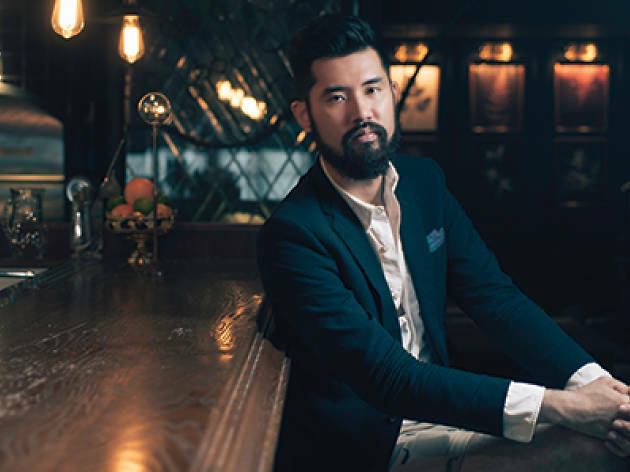 With a second anniversary to plan and intentions to go international, we catch up with Wong to hear about the highs and the lows of the last two years and how the LGBTI scene has changed in our city. Behind is almost two years old now, but how would you describe it for someone who doesn’t know about it yet? Our night is not specific when it comes to orientation or gender. Everyone is welcome. When someone comes through our doors, we don’t ask if they’re gay. We don’t tell them we’re gay. The doors are open to everyone. In terms of music we lean towards disco and funk. We have our classics but also a lot of edgy new artists. If you want to listen to the new top 40 hits or the latest Madonna single, you can do that at home – I listen to that at home. But I feel, if this is the one night of the month where you want to party with old friends or make new friends, you should have old friends in terms of music and you should also make new friends in terms of music too. Two years ago you talked about wanting to bring the gay community closer together. Do you feel you’ve achieved that? We do try to educate a lot and sometimes we promote community news, too. I like to think we infuse a sense of community through these sorts of channels. If we focus too much on partying, excessive shopping, drinking, it doesn’t go anywhere. Behind isn’t about ‘come to this party, drink this champagne cocktail, spend this much money’. We don’t even like to call it a party. People make a real effort to try a different outfit, try a different attitude, just to come see their friends once a month. It’s a gathering, that’s how I see it. That’s where the sense of community comes from. Has it been hard getting to this point? I think in Hong Kong, especially this part of town [Central], the culture is pretty open. There’s never been a time we’ve felt like we’re not allowed here. I’m happy we have two partners we can always rely on. Absolute Elyx has helped us a lot when it comes to reaching out to potential venues and developing our special menus. They help us with special packages, access to new products, exciting flavours. It helps us keep our ideas fresh, and if you have something special, people will come find it. Our other partner is Aids Concern, a charity that supports screening, prevention and the management of HIV. HIV is a condition and people need to talk about it more and make it more normal. It’s about including these people and letting people know that it’s a condition that’s easily managed; you can include people who are HIV positive in your life. It’s about what you as a partner or a colleague or we as a community can do together. These people aren’t forgotten. The pink dollar is a big thing these days, but is there more brands could do? Well, the community has changed since a couple of years ago. I remember when we first started there were brands who wanted to help us, wanted to support us, but didn’t want to be named. Since then I haven’t heard anything similar. And it’s not just about the financial support or the visibility, it’s about how it’s presented. Just by sponsoring or supporting [LGBTI events], it really gives us a sense that we’re all the same. It helps people understand that the gay culture is a normal culture. And that trickles down to how people treat each other. What’s the biggest challenge you’ve faced building Behind? I think people have different opinions on how gay culture is presented. We have a small but very vibrant community and people have very strong opinions. In the beginning we faced a lot of people who… I don’t want to say ‘don’t get it’ but, you know, they have their own opinion on how we should present ourselves. The music wasn’t to everyone’s taste at the start. It sounded different. It wasn’t the right sequence. There wasn’t enough Lady Gaga. But slowly people realised it’s not about having more of what you know, it’s about touching greater unknowns. I think there’s more than one way to be gay but some people […] think what they believe in is the only way. But by slowly opening up to these people, and through education and positive reinforcement, we’ve shown that’s there’re more ways to be who you are. And everyone should be given a chance to shine. What were people’s initial reactions two years ago? I remember the day after our first event I received a really long message from a very vocal member of our audience. He basically said Behind was a blatant attempt to make money from gay people without any heart or soul. That really hurt me. It stayed with me. I screen-grabbed that message and I re-read it from time to time because that was exactly the opposite response to what I was hoping for. Looking back now, can you see where that person was coming from? I think it was a series of misunderstandings. Our first event was in a small bar and the service wasn’t the fastest or most attentive. There were a lot of little details we had to hammer out. And in the beginning I wasn’t sure how to present the night. Afterwards, I worked with the management of the bar to ensure we had enough of everything. We became much more clear on what we were trying to do. So that original message stayed with me. It’s good to remember those other voices. And what about the move to Zuma? When it comes to a new venue, we like to pick somewhere that’s fresh or interesting. Or a hidden gem, somewhere on the fringe that people forget. We need more space and Zuma provides that. Plus, it’s in the middle of town, it’s easy to get to. I hope people like walking into the venue as we’re going to change the layout a little bit. Do you have big plans for your second anniversary in August? It’s slowly coming together. I’d like to say more but I want to surprise people. When we did our first anniversary, I couldn’t believe we were still there because it involved a lot of blood, sweat and tears. But we’re done looking back. In general, people are more forgiving when you’re getting started. Now people look forward to our happenings and an anniversary is a big deal. People have high expectations and we want to surpass those. We want to make sure it’s more fun than last year. More fun than when we first started. Well, I don’t know if I should tell you this right now but we’re planning to go international. We have something planned for the summer and we’ll be bringing this culture to a couple of cities around Asia. We just want to provide another outlet for people. In Asia there’s a lack of a scene. Even if you look at cities like Bangkok, Taipei or Shanghai, there’s not a huge [LGBTI] presence. There are places in Europe – in Berlin, in Paris – that have gay parties that are so good straight people travel to go and see them. I want to give something similar to Asia. And I’m very proud to bring a Hong Kong grown brand to a different country. As a culture, we import a lot of ideas from outside. Time Out started in London, right, so when it comes to Hong Kong it’s an easy sell. I want to see a home-grown identity develop in Hong Kong and watch how it develops internationally. It’s important to see that if you work hard, if you stick to what you believe in, you can go places.